Bruce Dees & Associates is a Tacoma based landscape architecture firm. We create memorable, sustainable landscapes promoting environmental stewardship and social enrichment. The primary need in this project was to increase the usability of the fields in order to meet the increased demand of the community. Synthetic turf has dramatically improved the water quality of the runoff into the Sammamish River by completely eliminating silt laden runoff. With virtually no rainouts, the amount of play and use of the fields has significantly increased; moreover, the fields now accommodate not only soccer, but also rugby, lacrosse, field hockey, and football. This has increased revenue by 250 percent. A trail through the new field area links the fields with the other passive uses in the park, and the addition of picnic tables and natural grass has provided an added recreational amenity for families and people who enjoy just watching the various sports. 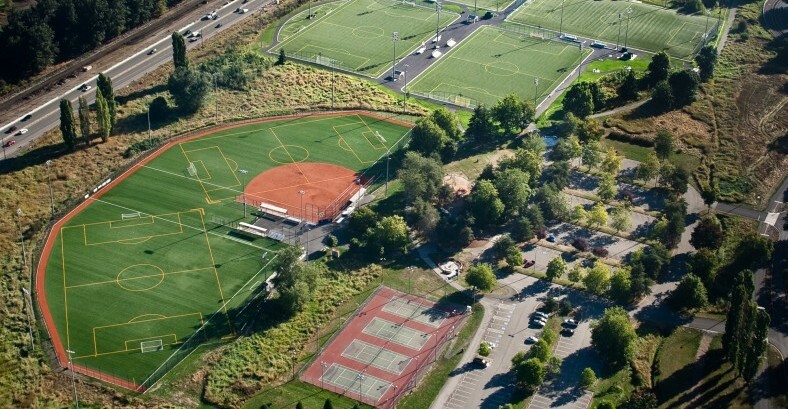 Since the completion of the soccer fields, the two adjacent ball fields have been converted to synthetic turf to provide more recreation opportunities for softball as well as overlapping field sports. 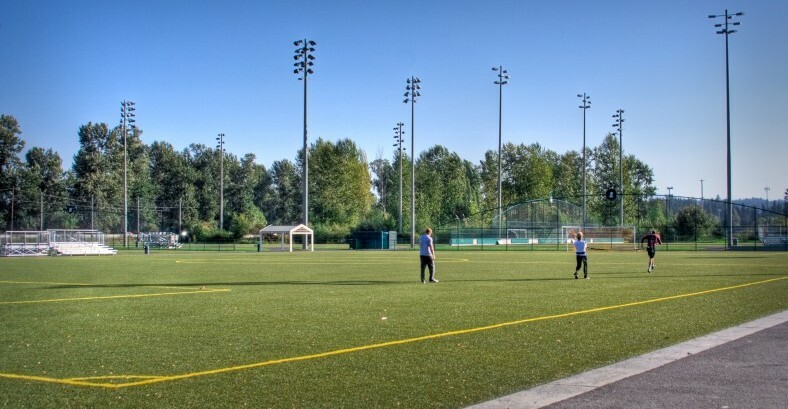 As such, the original four soccer field conversions have been a catalyst for ongoing environmental improvements and recreation opportunities for the residents of King County.